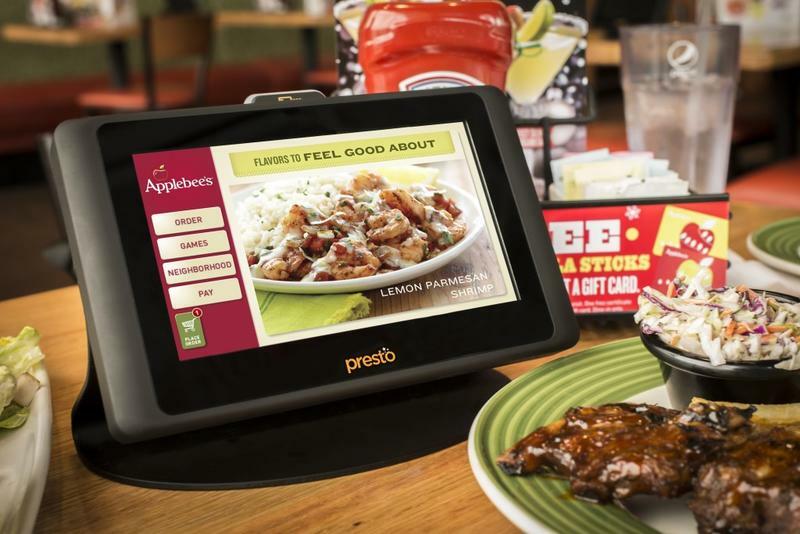 Starting in 2014, Applebee's will install almost 100,000 tablets at its restaurants across the country, putting a specially-designed device on each table at over 1,800 locations. The deal represents a huge win for technology company E la Carte, which secured the contract to supply its own Presto tablets, as well as Intel, which backs E la Carte financially and powers the Presto with its own processors. The new tablets will replace much of what Applebee's wait staff currently does, allowing diners to quickly order additional items and pay the bill. However, customers will still receive physical menus and make their initial orders with a human waiter. The Presto tablets will also act as a jukebox and feature paid games, with the restaurant chain and E la Carte splitting that revenue. The device could also feature advertisements, though that hasn't been established at this point. "Very clearly, our intention is not to replace servers, who provide a personal connection that is invaluable in our restaurants and to our 'See You Tomorrow' experience," Applebee's president Mike Archer told USA Todays. "This is about building on to the experience for the guest, not saving on labor." E la Cart isn't the only company looking to fill restaurant chains with new technology. Earlier this year, Chili's signed a contract with Ziosk to install 7-inch tablets at over 800 locations. Applebee's new tablets look significantly bigger, but essentially serve the same purpose, offering diners cheap entertainment as well quick access to refills and the check. You can watch out a quick commercial for the Presto tablet below.